Washburn University currently has five chartered chapters at Washburn University. One chapter, Kappa Alpha Psi Fraternity, is a member of Multicultural Greek Council (MGC) and participates in Recruitment In-take. Our other four chapters are members of Interfraternity Council and participate in a continuous open recruitment process that happens throughout the year. Alpha Delta is located directly across from the University campus. With spacious two-man rooms in its recently renovated facility, it offers one of the best values in student housing at Washburn University. Brothers receive complimentary breakfasts, Monday night catered dinners, high speed internet, cable TV, and security- monitored and lighted off street parking among numerous benefits - all at a reasonable cost. 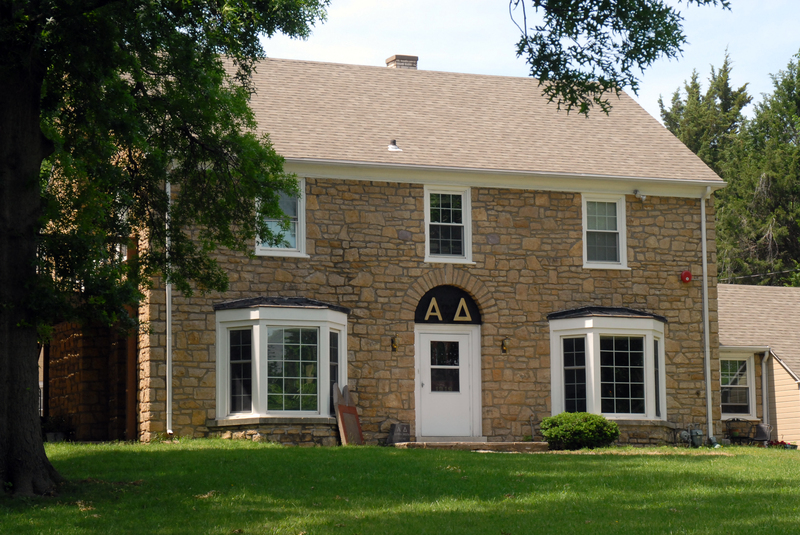 Different from the typical "dorm environment," the Alpha Delta house was originally the home of a prosperous Topeka physician and has been expanded to house up to 30 residents. It offers the amenities of a fine home with two sitting rooms, two relaxing lounges, beautiful up-to-date kitchen with multiple microwaves, formal dining room, chapter meeting room, large lawn and a volley ball court. It offers the largest private "square foot per member" of any living alternative at Washburn. The alumni of Alpha Delta are very active in their support of their brothers in college. Besides offering substantial funding for scholarships for qualified candidates, we are the only fraternity at Washburn that offers a full-time, on-site professional House Mother. Our House Mother is a successful Washburn graduate who was president of the student body when she attended Washburn. She has decades of valuable experience to provide to incoming members. She may be one of the reasons that the brothers of Alpha Delta are considered " the gentlemen of campus." Alpha Delta has more than 100 years of success in helping our members obtain their college degrees and to become more successful in their chosen careers. We provide curriculum counseling to each of our members which helps in selecting the best teachers and courses of study. 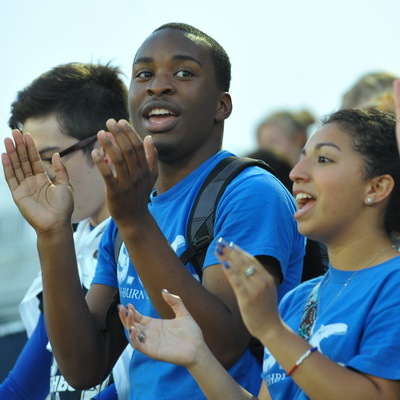 We have a valuable network of more than 1200 alumni, all of whom graduated from Washburn University. The older brothers help and mentor the younger brothers. Many friendships are established which, in many instances, last a lifetime. Want to get more from your college experience? Kappa Sigma makes it happen. Joining Kappa Sigma provides opportunities for fellowship, fun and personal growth that you simply can’t get elsewhere. More than 280,000 men have joined and enjoyed the unmatched experiences, involvement and lifelong brotherhood that Kappa Sigma offers.There is no secret - our goal is to build better men. Take the lead. In Kappa Sigma, brothers learn to get involved in their communities and take the lead when something needs done. Countless brothers, including senators, governors and CEOs, have said Kappa Sigma gave them the leadership skills they needed to succeed. You’re in college for an education. From its earliest beginnings in Renaissance Italy, Kappa Sigma has promoted scholarships among its members. Since its inception, more than $4.5 million in scholarships have been awarded by the Kappa Sigma Endowment Fund to brothers who excel in academics, campus involvement and leadership. At the chapter level, brothers help you learn about the campus, provide advice on professors and classes and help you study for those important assignments. Helping others is part of being a Kappa Sigma. Brothers spend thousands of hours working in their communities and raise thousands of dollars for worthy causes each year. From organizing park clean-ups, to serving as Big Brothers, to organizing charity rock concerts, Kappa Sigmas work hard for their causes. College is fun, but only service gives you the great feeling of knowing you’ve helped someone and made a difference. Alcohol-free Fraternity since 2000, the first national fraternity at Washburn to do so. The Balanced Man Program emphasizes the characteristics of Gentleman, Scholar, Athlete and Leader. SigEp was one of the first fraternities in the country to do away with the pledge model, and make all new members brothers the moment they sign. Throughout your four years in SigEp, all aspects of the Balanced Man are impressed upon you. 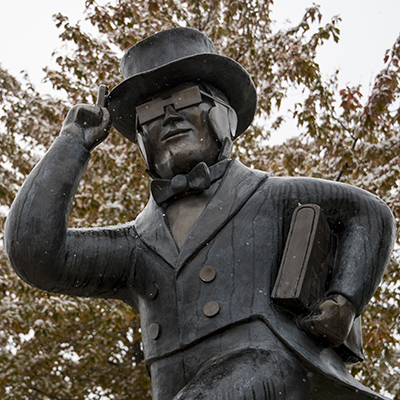 We strive to create not just a great student while you're here, but a great man once you earn your degree. Sigma Phi Epsilon is one of the academic leaders on campus. SigEp has always held academia in high standards. We strive to always be above the SigEp National standard by at least 0.2 GPA, and through programs like SigEp Study Night, or our fully stocked study room, we can accomplish this. Our chapter also has one of the rare and unique honors of being a "SigEp Residential Learning Community" which few chapters nationwide can claim. Sigma Phi Epsilon boasts a strong network of accomplished alumni in Topeka and across the country. SigEp is one of the largest fraternities in America with over 350,000 alumni. Many of our chapters alumni have either stayed local, or dispersed across America, so you're likely to find one just about anywhere if you look. Sigma Phi Epsilon is constantly redefining "fraternity." SigEp won't give you the traditional picture of "Greek Life" that the movies portray. While we do still like to have fun, SigEp provides you with tools and knowledge to become an almost better version of who you are. SigEp is and always will be about brotherhood. That will never change.